Although ties between Washington and Tel Aviv are stronger than ever, Israeli leaders are aware of a vastly changing political landscape. The U.S.’ own political turmoil and the global power realignment — which is on full display in the Middle East — indicate that a new era is, indeed, in the making. News of China’s plan to manage the Israeli port of Haifa has already raised the ire of the U.S. and its European allies. Times have changed, indeed. Whereas in the past, Washington ordered Tel Aviv to immediately cease exchanging American military technology with China, forcing it to cancel the sale of the Phalcon airborne early-warning system, it is now watching as Israeli and Chinese leaders are managing the dawn of a new political era that — for the first time — does not include Washington. China hopes that its grand plan will help it open massive new opportunities across the world and eventually guarantee its dominance in various regions that rotated, since World War II, within an American sphere of influence. BRI aims to connect Asia, Africa and Europe through a “belt” of overland routes and a maritime “road” of sea lanes. The China-U.S. competition is heating up. Washington wants to hold on to its global dominance for as long as possible while Beijing is eagerly working to supplant the U.S.’ superpower status, first in Asia, then in Africa and the Middle East. The Chinese strategy in achieving its objectives is quite clear: Unlike the U.S.’ disproportionate investments in military power, China is keen on winning its coveted status, at least for the time being, using soft power only. The Middle East, however, is richer and, thus, more strategic and contested than any other region in the world. Rife with conflicts and distinct political camps, it is likely to derail China’s soft power strategy sooner rather than later. While Chinese foreign policy managed to survive the polarizing war in Syria through engaging all sides and playing second to Russia’s leading role at the U.N. Security Council, the Israeli occupation of Palestine is a whole different political challenge. 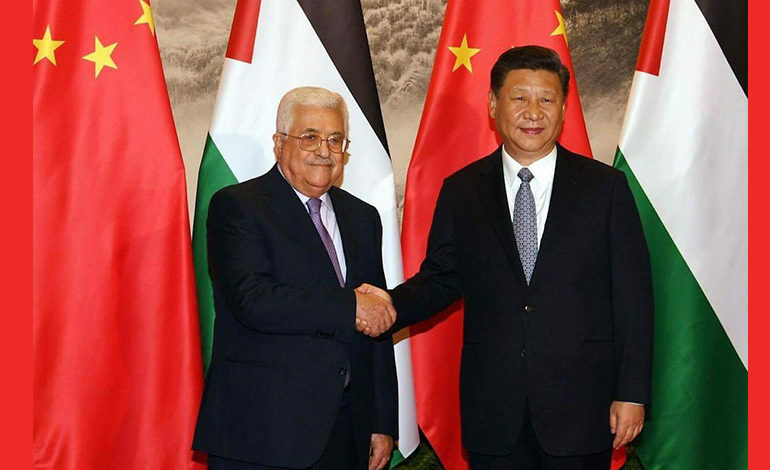 For years, China has maintained a consistent position in support of the Palestinian people, calling for an end to the Israeli occupation and for the establishment of an independent Palestinian state. 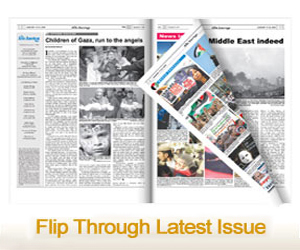 However, Beijing’s firm position regarding the rights of Palestinians seems of little consequence to its relationship with Israel, as joint technological ventures, trade and investments continue to grow unhindered. Indeed, it seems that the oft-repeated cliché of Israel being “the only democracy in the Middle East” is being slightly adjusted to meet the expectations of a fledgling superpower, which is merely interested in technology, trade and investments. Israeli leaders want China and its investors to think of Israel as the only stable economy in the Middle East.